You British don’t understand about Europe, spits a character at the hapless Captain Ridley, a statement seemingly as true now as it was when Cockpit was written in 1948. 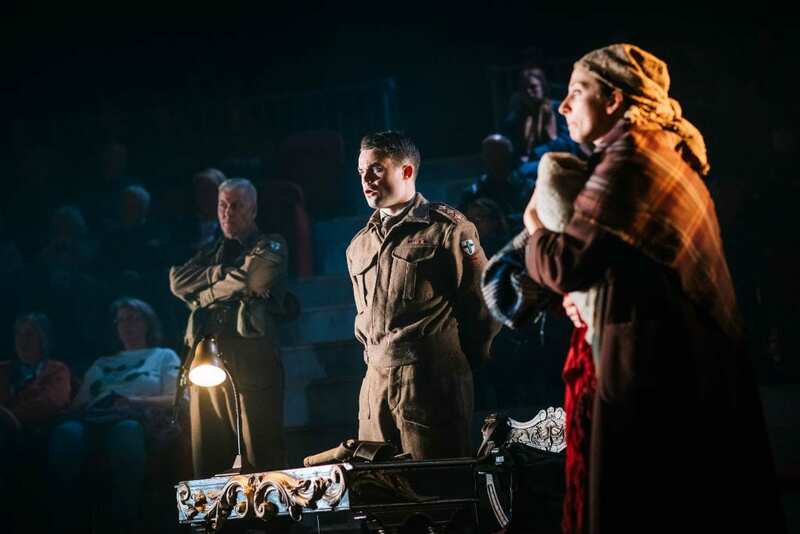 It is the end of WWII, and Ridley (Peter Hannah), along with his sergeant (Deka Walmsley) is trying to organise a theatre full of displaced people from all across Europe in an effort to get them to their homes. At least, those who still have homes. In the intimate Lyceum, the staging of Cockpit across the whole auditorium feels totally natural, although it must have been a surprisingly immersive experience when it premiered in this manner in 1948. Refugee paraphernalia is scattered throughout the theatre and this, coupled with characters addressing the audience directly as though we are the displaced people of the play, gives the production an intimate feel. 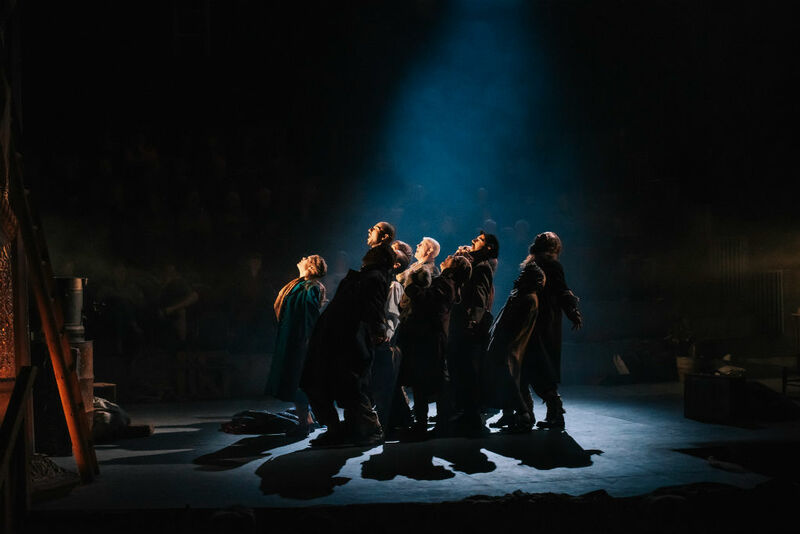 Actors swarm everywhere, climbing out of boxes and into the circle, while the presence of some members of the audience on the stage itself enhances the immersive experience. The production itself is full of moments of beauty and poignancy among the organised chaos. Timeless images of refugees limp across the stage, reminding us of the millions of people without homes across the world both then and now. The play is interrupted by haunting renditions of what sound like Eastern European laments, sung by the cast scattered throughout the theatre, so that the whole auditorium seems to be singing. The play is performed with a truly ensemble cast, but some individual performances do stand out. Hannah and Walmsley are thoroughly relatable as the well-intentioned captain and his world weary sergeant. 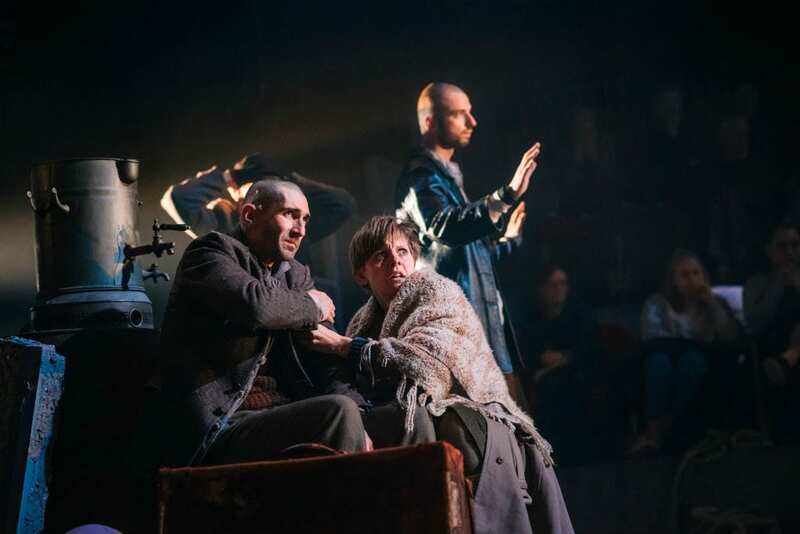 The fiery Resistance fighter who cannot bear the cold-blooded heroism of nursing is sensitively played by Kaisa Hammarlund while Dylan Read brings moments of welcome light relief as the weaselly German stage manager Bauer, constantly popping out of unexpected corners of the theatre. Cockpit has been chosen for production by The Lyceum with their usual knack for alighting on works that are pertinent and insightful. The story of millions of displaced people trying to get home or searching for a new one is as relevant now as it was then; more so, in fact, as more people are believed to be displaced now than at the end of WWII. The danger of passionately held beliefs is also confronted. 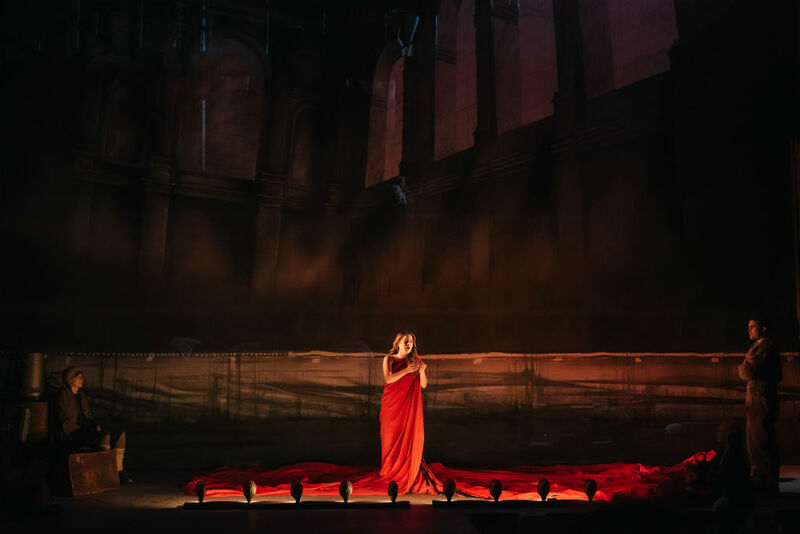 It is the inability to see the people behind their ideologies that threatens to destroy the fragile peace between the theatre’s refugees, and writer Bridget Boland clearly believed this was applicable to the world at large. Whether those beliefs be the religious ones of the crusades or the political ones of the mid-twentieth century or today’s fundamentalism, Boland states through Cockpit: ‘belief is dangerous’. 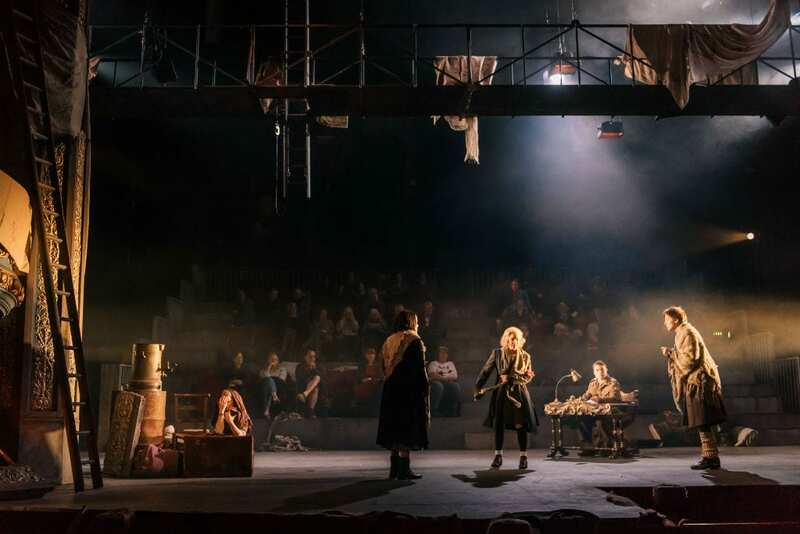 However, most pertinent for this play in Britain today is the idea that there is a common identity between us and, in this context, a particularly European identity. The thoroughly international cast tells this story of people struggling to find that identity with at least as much an eye on current events as those of seventy years ago. The characters of Cockpit focus on their differences – fascist against communist, Jew against non-Jew, Pole against Russian – until a crisis forces them to focus on what unites, rather than divides them. The unity may not last, but it should always be remembered.